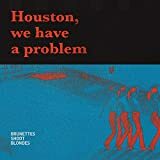 Brunettes Shoot Blondes designed a unique music instrument packed with a whole orchestra to perform new song “Houston” live. We brought a broken, vintage grand piano to life, by reengineering it into a hybrid, containing 20 instruments in it. BSB came up with an idea of making a true analog apparatus which could play different instruments nested inside the rim just by playing the keys. So when pressing a key, the piano hammers beat a marimba, tambourine, cymbals or even castanets. 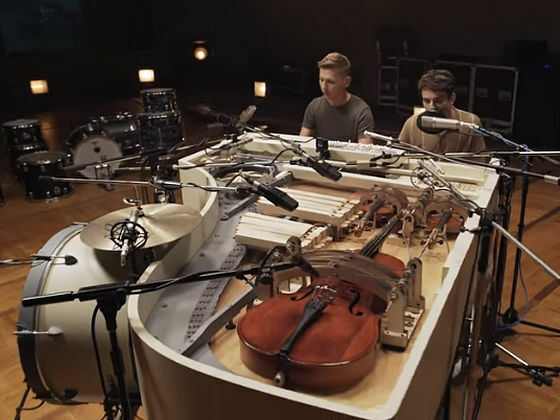 There are also special mechanical devices that allow for the playing of cello, violins and organ.